That is why Sergio is now walking back on his claims, slightly tripping, by arguing that he merely brought up the logical thing for a company like Volkswagen to do, and that he is not a thirsty CEO looking to pawn his company off to somebody with money, or even just somebody. His clarification yesterday came after Volkswagen CEO Matthias Mueller called his bluff and said VW wouldn’t rule out a conversation, but that “[it] would be very helpful if Mr. Marchionne were to communicate his considerations to me too and not just to [reporters]”. Marchionne’s hunger for a major merger in the auto industry is based, at least on the surface, on a belief that it would be a logical move to cut costs and increase efficiency. It might also have to do with the fact that FCA just can’t seem to figure out how to sell regular, bottom-line-padding cars, as the Chrysler 200 dies a quiet death. Instead, FCA stays afloat largely based on the growth of the Jeep brand in international markets. 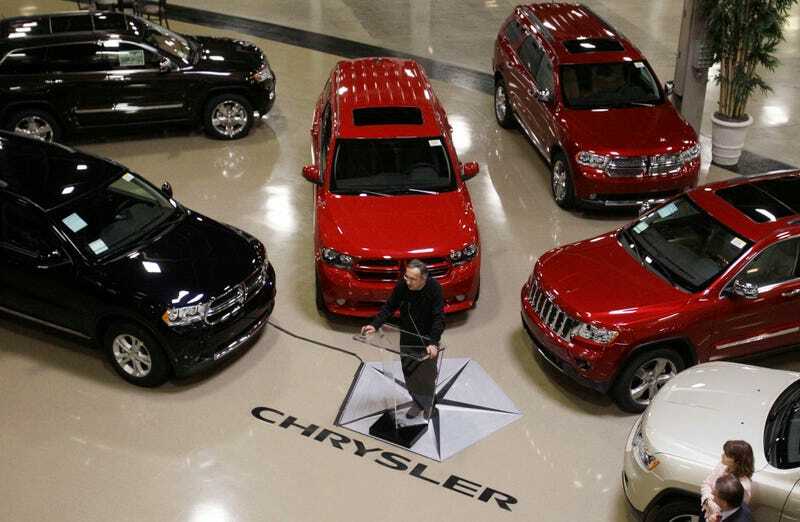 So what does Sergio Marchionne really want?! First he’s flirty with GM and is denied. Cool, fine, no big deal. Plenty of fish. Then he name-drops Volkswagen without bothering to float the idea of a multi-billion dollar industry merger with them first, and then completely reverses course when they bite and goes and says he’s completely uninterested, and that VW should come to him. You good, man? This is like senior prom. Either you want to talk or you don’t want to talk. The ‘they should approach me’ attitude is the very thinking that is keeping millions of young teenagers everywhere single, man. Get over yourself and just do what you’ve got to do or stop bugging everybody about it!